“Why are you downcast, O my soul? Why so disturbed within me? Put your hope in God, for I will yet praise Him, my savior and my God. The past four months have been an emotional roller coaster. It started with the best news I have gotten in 13 years. Except nothing has changed four long months later. I know legally speaking there has been a great deal of change in my case. Then why am I still sitting in prison over four months later? Trapped in my tiny prison cell for a crime I didn’t commit. On July 7th, 2015 the 9th Circuit Court of Appeals held the oral argument hearing for my habeas corpus petition. This hearing went so well that we knew we had won. I felt elated upon hearing the news. My freedom would be coming shortly. Then the waiting began. It started with a day. Then a week. Stretching to a month. Then longer. You would think that I would be used to the waiting after 13 years of it. But this waiting is new, different, harder- we had won. We knew the court was going to rule in my favor, meaning I should no longer be locked away in this prison. Knowing wee had finally won has made the waiting become so much harder. On August 27th, 2015, after nearly two months of this waiting the 9th Circuit Court finally issued their ruling. As we knew it would be, their ruling was in my favor. The judges were granting me an evidentiary hearing. This is a big deal. Especially with how strongly the wording of their ruling is. They made statements such as; “O’Brien’s state habeas petition alleged facts that, if accepted as true, showed that trial counsel failed to introduce available evidence that would have significantly strengthened O’Brien’s defense. Indeed, if believed, the additional evidence would have rendered it virtually impossible for O’Brien to have committed the murder with which he was charged.” Going on to say that “Competent counsel would not have failed to put such evidence before the jury.” The 9th Circuit Court of Appeals granted me an evidentiary hearing on the basis of ineffective assistance of counsel at my trial. That as a 17 year old kid, the lawyer who was supposed to protect me failed to use available evidence to prove my innocence. I felt so excited over this knowing that the truth of my innocence is finally going to come out. This ruling effectively allows my current lawyers to present to the United States District Court all of the evidence that proves my innocence. We will be able to present to the District Court the case and evidence that my trial lawyer, James Clark, failed to do. Proving to the court that we have all the evidence that proves me factually innocent. Which is a really big deal. On September 2, 2015; just days after the 9th Circuit Court’s ruling, the United States District Court for the Eastern District of California scheduled a status conference hearing for my case which would be on October 7th. It was over a month away but we had a court date. After waiting two long months for the ruling we were feeling good. Things were moving and at the time my lawyer said the evidentiary hearing would be before the holidays. I would be home for Christmas. Everything felt so good for a moment. That moment that did not last long. Everything began to change and become harder. Both with my case and here at the prison where I am housed. 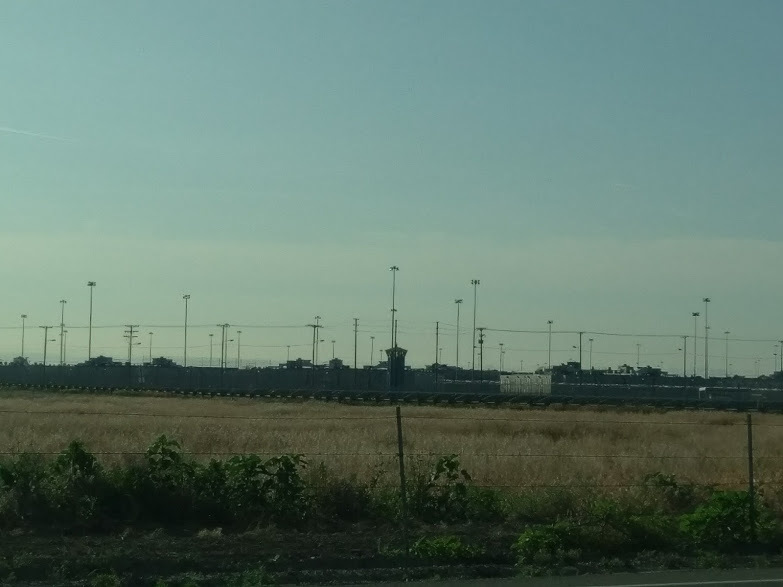 Starting on September 11, 2015 there was a riot on the recreational yard among hispanic inmates and one of them was stabbed. Nothing like that had ever happened at this prison since I have lived here. At least not on the yard I am housed on. This violent incident lead to the entire yard being locked down and searched for two weeks. Two stressful weeks of being stuck in my cell with no direct communication with my family, only receiving letters over a week old. Later, about 10 days into the lock down, I found out that the Attorney General fighting against me being able to prove my innocence complained that the District Court scheduled the status conference hearing before they had jurisdiction to do so. So the scheduled court date was unscheduled and taken away from us. I did not know for many days and when I found out it was crushing- the waiting would continue. Still to this day there has not been another status conference hearing scheduled so the endless waiting drags on. The waiting was soon to get worse. I was told that my lawyer wanted to hire additional counsel to assist in litigating my case before the District Court. Obviously if this is the best thing for my case it has to be done. However, the lawyer we are mostly highly considering isn’t available until March. I was so upset to learn that I would not be home for another Christmas after a brief hope that I would be. It meant a lot to me. For years everyone has always said how strong I have been through all of this. What they may not have realized is that the greatest strength I have has been the support and love of my family. Without them I never would have been able to survive this. Now with the waiting becoming so much harder and the lack of communication dwindling recently due to poor maintenance at the prison I have not been feeling as strong. I feel as if I am failing. This does not mean I have given up hope. I know we are still going to win. My innocence will be proven. I will be coming home. It is just the endless waiting after winning and the lack of communication that has become so hard. It weighs on me but I refuse to give up hope. Just as my family has refused to give up fighting to prove my innocence and win back my rightful freedom.